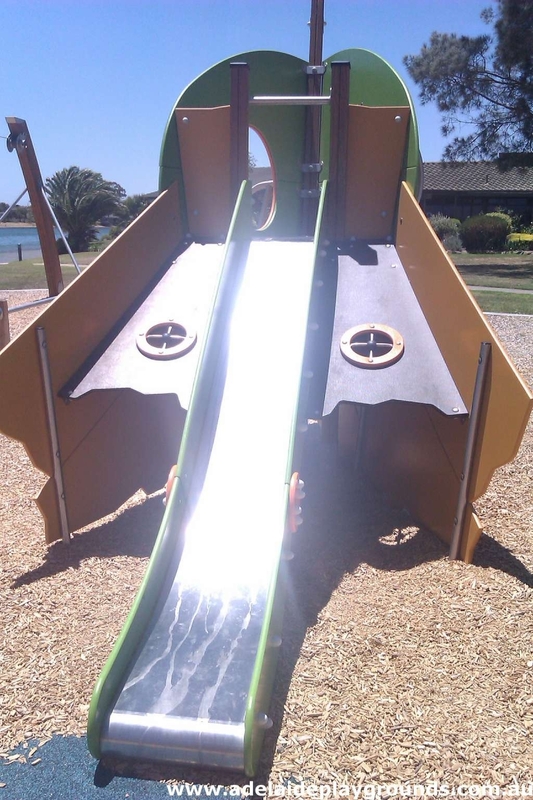 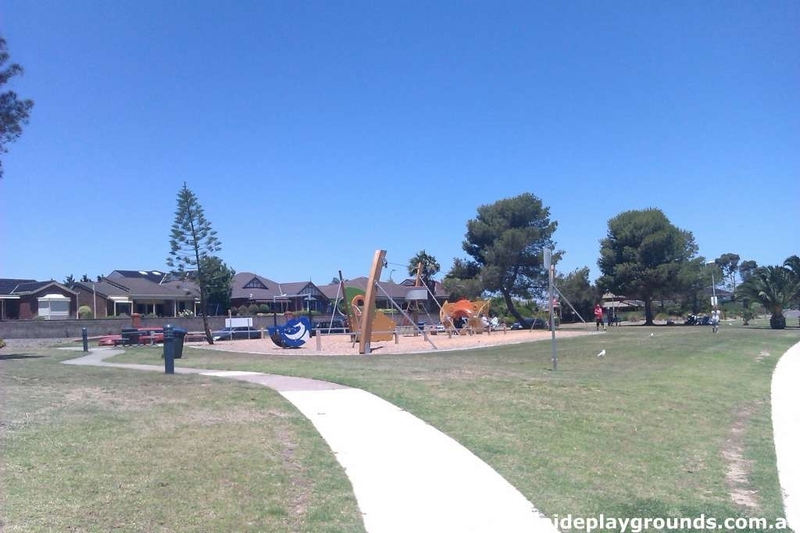 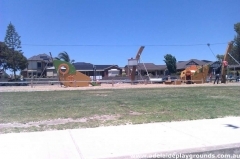 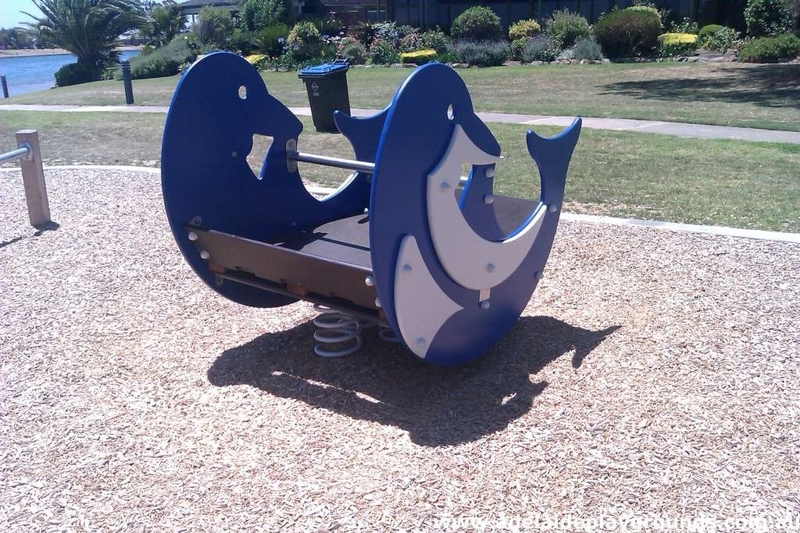 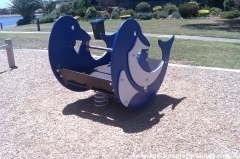 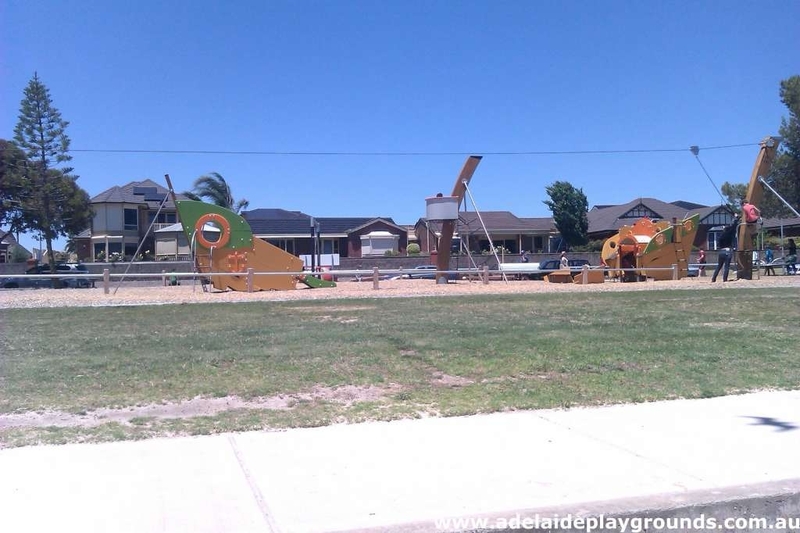 This is a fantastic pirate ship themed playground on Delfin Island at West Lakes Shore. 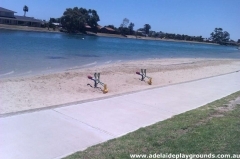 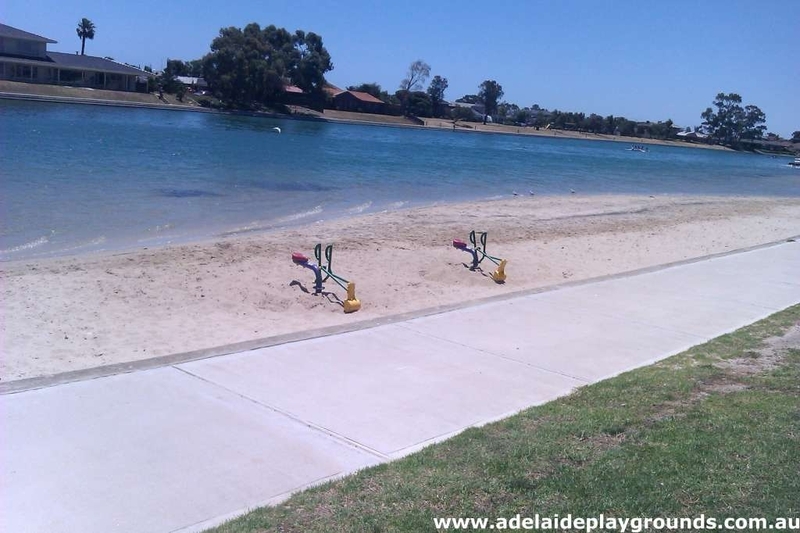 There is also a beach area to have a swim and some diggers to play in the sand. 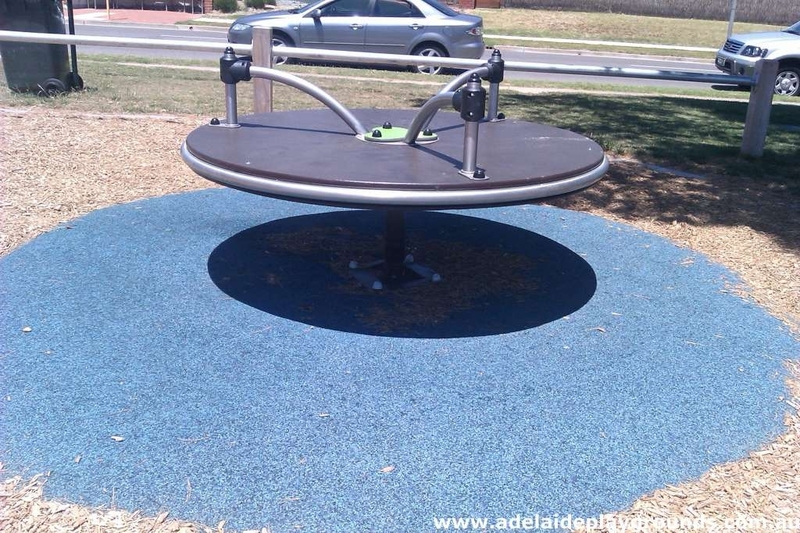 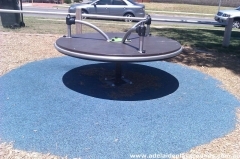 One of the popular features of this park is the flying fox, but the whole playground is pretty good. 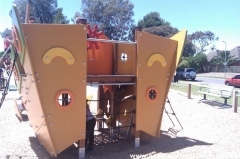 Unfortunately there are no toilets, which is a pity or you could spend all day here on a pirate adventure, also the fact it's not fenced is a concern for little children as they can easily get to the lake.